Aubrey Up Close – It’s not who I am, it’s just what I do! Sometimes I do a little lifestyle modeling (acting), and a new spot just came out that I did for Fitbit’s new Inspire. See if you can find me in the clip below! Some of the still images for the campaign should be coming out in stores soon. 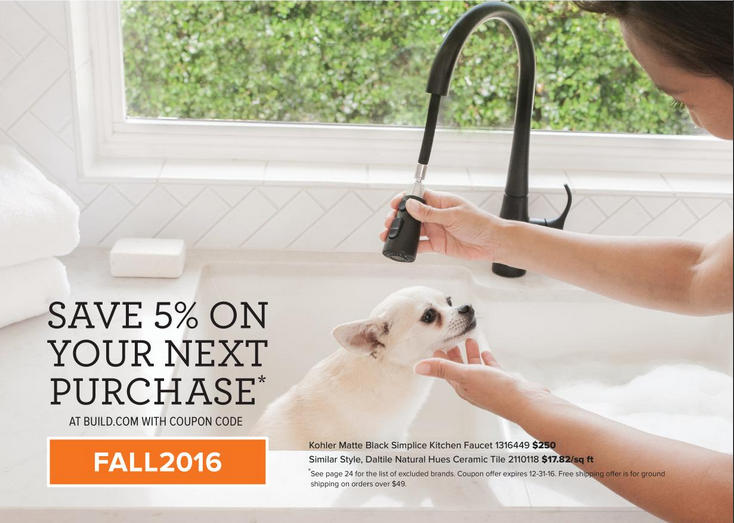 Earlier this year I got to use my SAG card and film a commercial for Wells Fargo, where the dog, “Sashimi,” was the star and I was her human! It was a pretty cool concept where the entire commercial was at dog-eye level, so I was considered background, where you only see me in the distance and/or my back, arm, hands, etc… Even cooler is that as I post this…the video has been seen more than 11M times via YouTube! Wow! I think the spot came out really good and it was a fun experience working with Sashimi on set. It was actually pretty interesting to see how the trainers work with the animals to get certain shots…and this doggie certainly earned her keep for the day! Today I posted some “Flashback Friday” photos of a position I once held and at the time it was my ideal “dream job.” It’s been on my heart for a while to write about it, and share my experience, but only now 3+ years later, am I finding that inner push to finally let it all out. I work in television. I have worked in television since going to college and studying broadcast journalism. I don’t have a defining moment that stands out where I just knew it was the path I needed to follow, but as I like to describe myself, I am a connector. I love being in the know, providing information and sharing it with others. I pride myself in having a diverse network of friends, family and contacts from all demographics, cultures, backgrounds and industries. Nothing makes me happier than being able to connect people and feel like I’m helping out, making a difference in someone’s project, position and life. Okay, so back to the dream job. 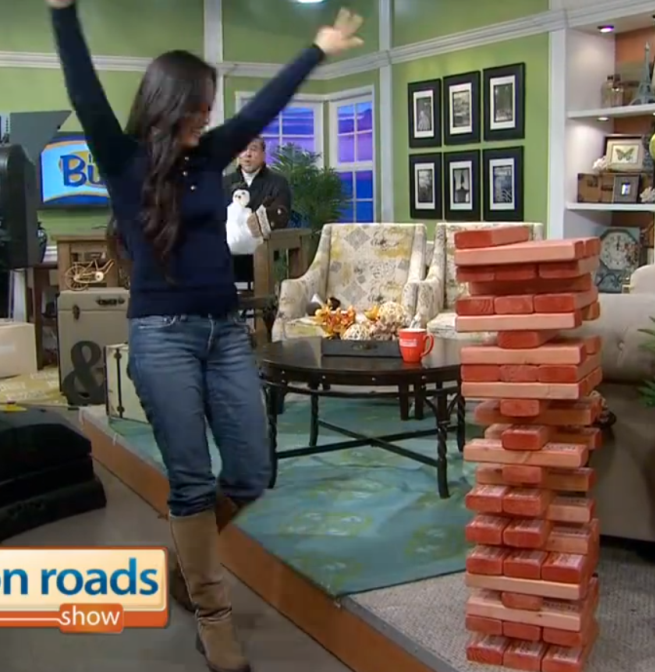 In 2014, after several years hiatus from a contracted TV role, (I had been working steadily as a freelancer for years), I got a unique job offer to host a daily 1-hour lifestyle television show in Virginia, called the Hampton Roads Show. I was still a pretty new Mommy with 2 kids under 2, feeling intense pressure to find financial stability and provide, and I felt it was necessary for me to get back into a full time role and continue pursuing my dream of hosting a show…and so, there I was..about to live out my dream. Up to that point, I hadn’t really spent any time in Southern Virginia, but I looked at it as a place that would be a little slower paced than Miami, certainly more affordable and of course, when it comes to working in TV, the opportunities are few and far between, so you go where the job is. It started off fine and all, everyone was very welcoming and the excitement of the newness of the job and learning all about the area consumed me. 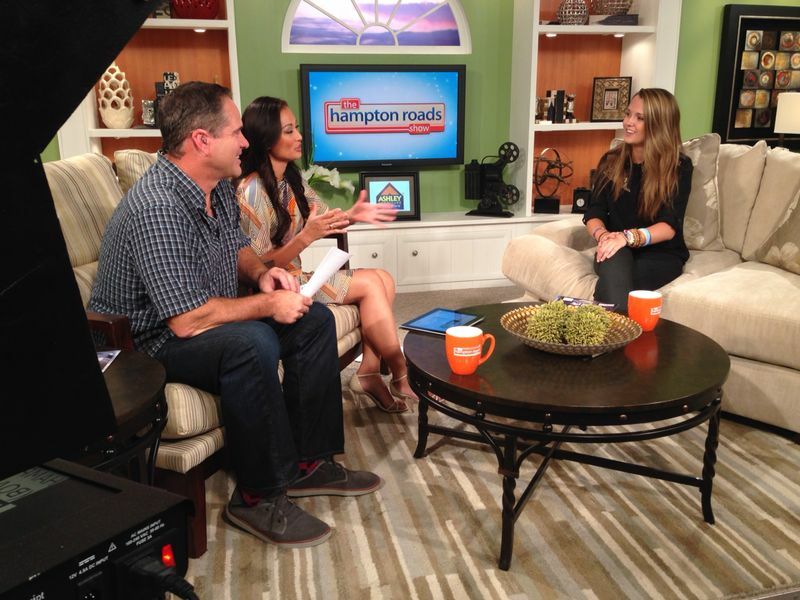 I enjoyed being on live TV everyday and immersing myself in the people and culture of the Tidewater area. I was working in the industry I wanted to work in, as a TV host, interviewing celebrities, comedians & community members, talking about new movie releases, cooking with chefs, producing feature stories and profiles, etc… all the while providing information and entertainment to the viewing audience. However, slowly but surely…my personal circumstances surrounding my job and some of the downside that comes with the territory of working in TV, began to change my perspective and affect my outlook. After a short while, I started to think the area might not be the best for me long term. I had moved to Norfolk, Virginia after nearly a decade of living in Miami, Florida…and this was my first real experience living in the “south.” Plus, being born and raised in the Bay Area, California, let’s just say it’s a different experience. So then, I began to wonder if this was the right place for me and my kids. I’m not saying it was bad, but the bubbles I had been living in were drastically different, and I get it. The diversity and attitudes I grew up with are polar opposite to those in other parts of the country…it’s no wonder the country is so divided these days. Nevertheless, I had signed on for 3 years and I was determined to make it work. I am BIG on commitments and delivering on what I signed up for. I am highly resourceful and always give my 100%. I rarely give up, which can be both positive and negative, because while I value integrity to the fullest, sometimes my unwillingness to throw in the towel can (literally) drive me crazy. At work, I enjoyed my duties and responsibilities. It was amazing to meet and have conversations with so many interesting people on a daily basis. The executive producer on the show is an incredibly kind person who is insanely talented, smart and creative leader who made magic happen daily. The show’s producer was also very understanding and easy to work with, she was always in my corner and very welcoming as I settled into the role. And, of course my co-host, was also absolutely supportive and helpful, easy to talk to and work with everyday. Honestly, the culture at the station was very positive and everyone there made me feel welcome. So here’s when the “dream” part of the job wasn’t so dreamy anymore… in this age of social media, criticism is swift and can be downright ugly. Although I know I was qualified for the position and brought so much relevant experience to the job, I was far from immune to the not nice commentary on social media. 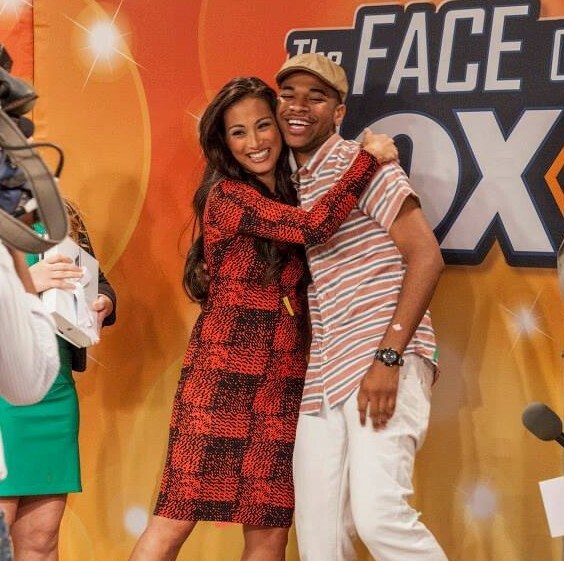 The previous host had been there from the show’s inception, so a lot of the station staff and viewing audience was very sad to see her go, and not ready for an “outsider.” I recall feeling like I just wasn’t fitting in. There were constant comments about the desire for a local host or how they missed the old one, and then other critiques of my looks, etc… but some direct personal attacks on me too. I recall one instance where I posted a short video clip of me assembling a high chair that we were including in a cool baby products round up for the show. An individual immediately attacked my intelligence and ability to adequately put it together. I responded tactfully, and the poster soon deleted the comment – wish I had screen shot it. Hey, those things shouldn’t get to you…but on top of not feeling completely accepted, I began to question if I was in the right place. However, by the numbers, the show was the #1 lifestyle show in the market and ratings grew every single quarter I was a host on the show. At home, I had to shift into full Mommy mode everyday when I got home. At first the mommy guilt was tough to fight through, but I had to do what I had to do. My relationship had become very complicated and he made it clear he was not happy nor interested in remaining in Virginia. That eventually led to him ironically finding work on the other side of the country, in my hometown Bay Area and leaving. So, on top of then having to find daily child care while I was away at work everyday, a pipe froze and subsequently burst in the condo unit we were living in, so we had to “evacuate,” first staying in a nearby hotel, before making a temporary move to another home for the next few months, courtesy of a caring anchor at the station. To say I was overwhelmed is an understatement. Luckily I found a wonderful nanny to watch after my babies, and I also had a couple mommy friends in the neighborhood who helped me stay sane. As I neared the one year mark at my job, the weight of life was squarely on my shoulders. I felt the demands of being a full-time working mom, constant financial responsibilities, a full disconnect with the father of my children and I was alone. I was living in constant conflict of fulfilling my contractual obligation to the station, or finding a way out to step back and get my life back in order. In television, a hosting job can be so elusive and you definitely don’t want to burn bridges, and I was torn between what was the right thing to do. Looking back, I somehow persevered on crazy days where snow shut down life basically, but I still had to drive and get into work…and thankfully my nanny braved it too, to get to me to watch the kids. Other days there would be so much rain, I don’t know how I navigated high water and traffic, taking back roads to make it to the studio, but I did it. 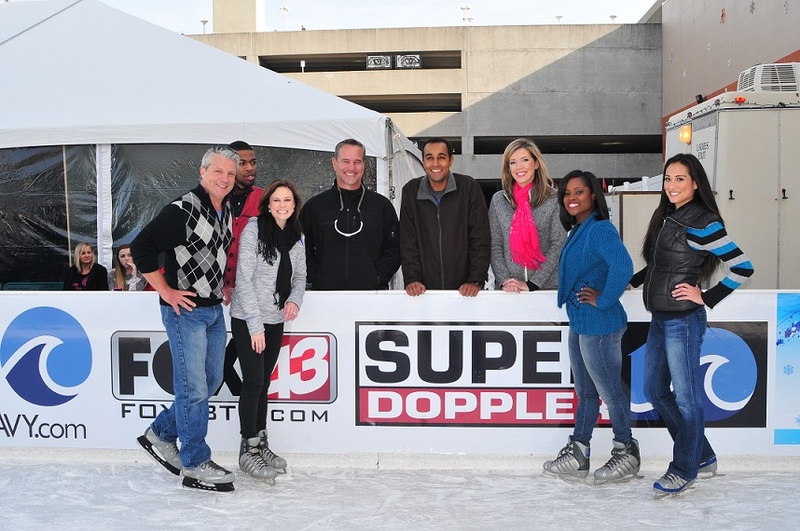 I put a smile on my face and performed my job to the best of my ability day in and out, even when I froze as we did live remote shows, outside in 30 degree weather! All this to say, it was almost my dream job. 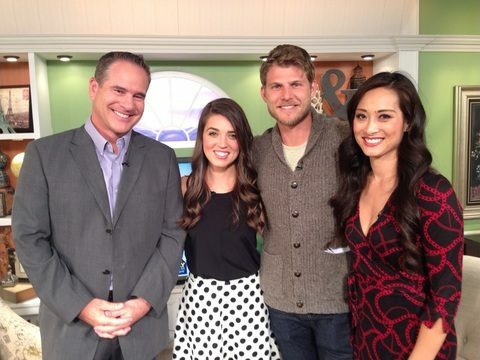 I am ever thankful for that opportunity and chance to host a daily lifestyle show…if only I could have taken that show and put it in an area that made more sense for me and my family. There was just no way to know, until I actually packed up and moved there. Eventually, I made the decision to leave my “dream job” and go home to the Bay. I was really scared and nervous about fully revealing my personal situation to my boss and my desire to be let out of my contract. Surprisingly, she was more than understanding and supportive of my decision. We came up with a plan for my exit and timeline for them to find a replacement for me, who I would train to take over, to make the transition easier for everyone. In the back of my mind I had been fearful that I would not be allowed to cut my contract short, that I would have to pay penalties, that I had let everyone down (including myself) and it was the end of my career. But, being honest and upfront about what I was going through and thankfully having understanding management, allowed me to walk away from my almost dream job. These days I find myself at a different crossroads. Since moving back to the Bay Area, I have fully enjoyed being in close proximity to my family and friends, having their full support and exposing my children to the same bubble I have grown up in. I’m surrounded by a familiar landscape and am even fortunate to work freelance as a TV/Radio host… but my heart still wonders about my almost dream job, and if there will ever be another. 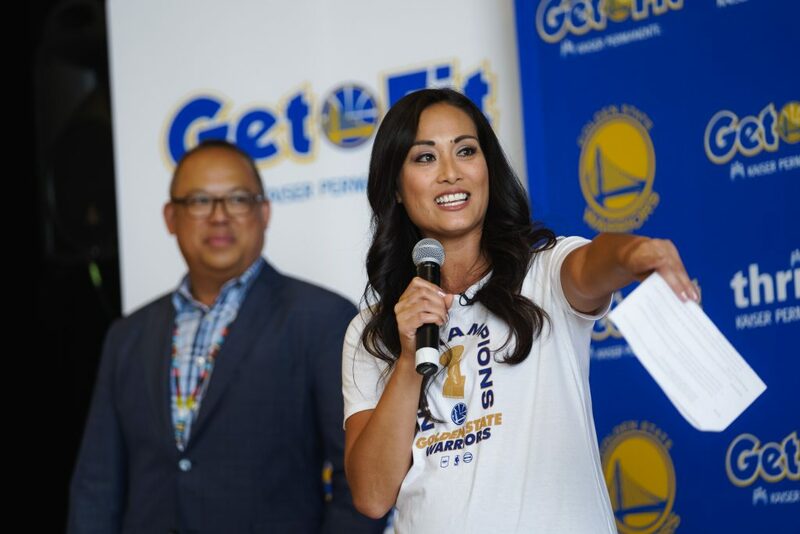 I recently got a chance to host an event with the Golden State Warriors. 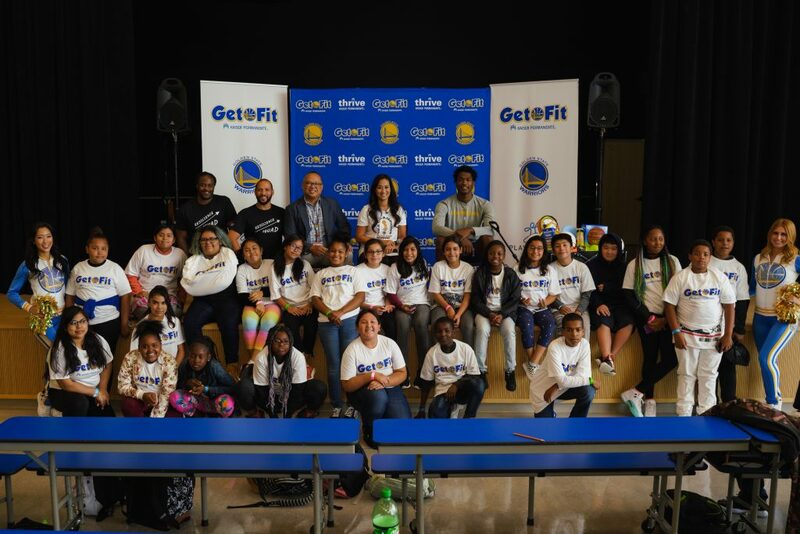 The event was part of the Warriors “Back-to-School in the Bay” campaign, and in partnership with Kaiser Permanente they hosted the Get Fit Time-Out event at Willie L. Brown Jr. Middle School in San Francisco’s Bayview neighborhood. 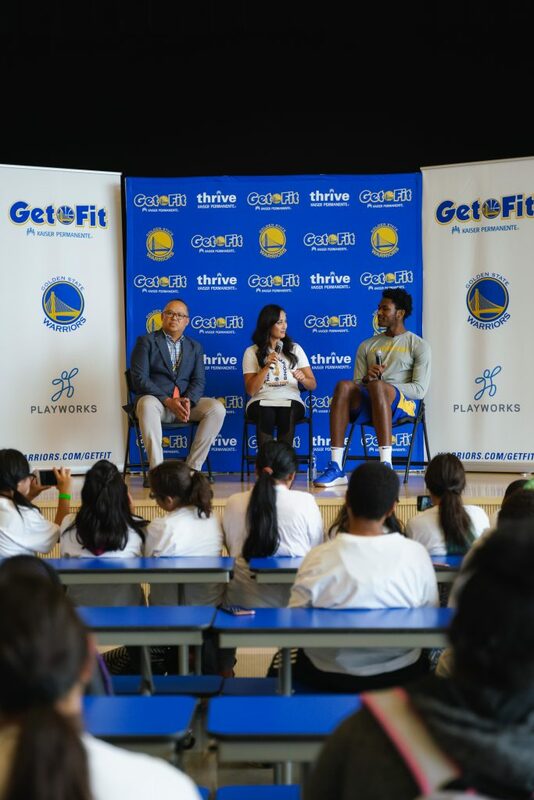 The event was aimed toward promoting the importance of physical activity, mindfulness and good nutrition. 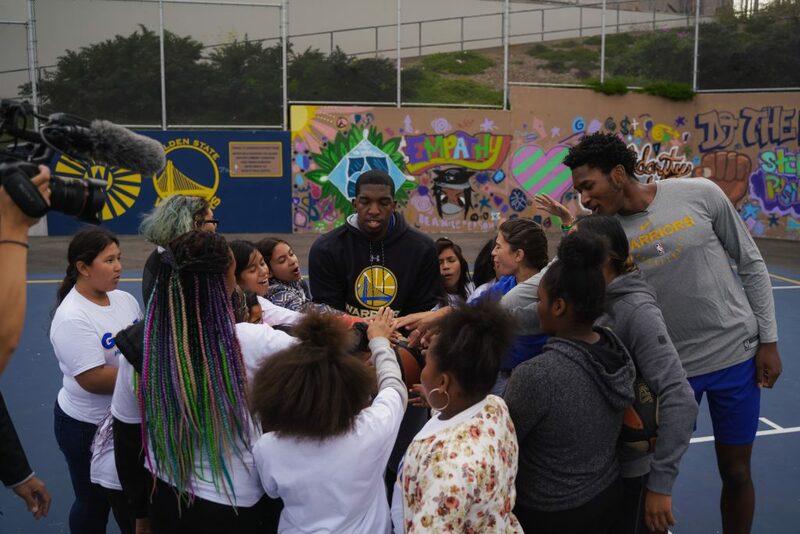 Golden State Warriors Damian Jones joined us for the fun event and did a Q&A with me to let the kids know about his fitness and eating habits, before interacting with students from the Beacon after school program. Students were then treated to an interactive education session focused on eating nutritious foods, exercising daily and training the mind to be resilient. 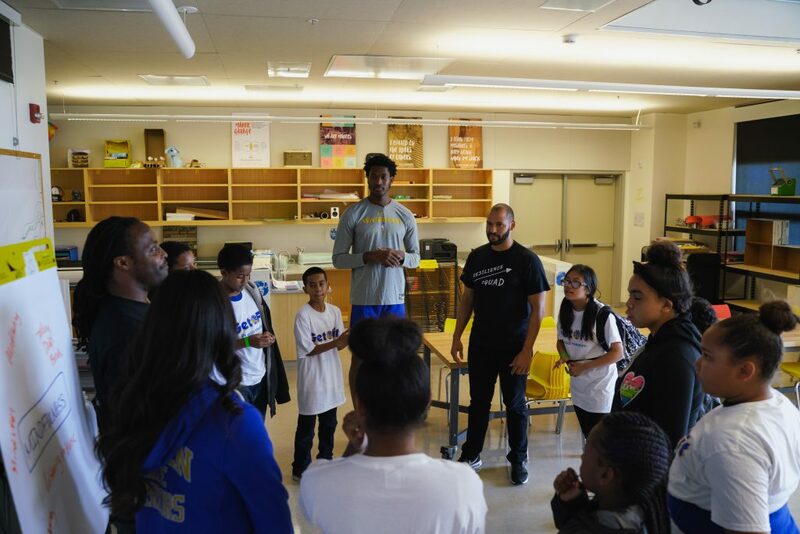 There were 3 activity stations, including an instructional basketball clinic, nutrition lesson and mindfulness workshop. 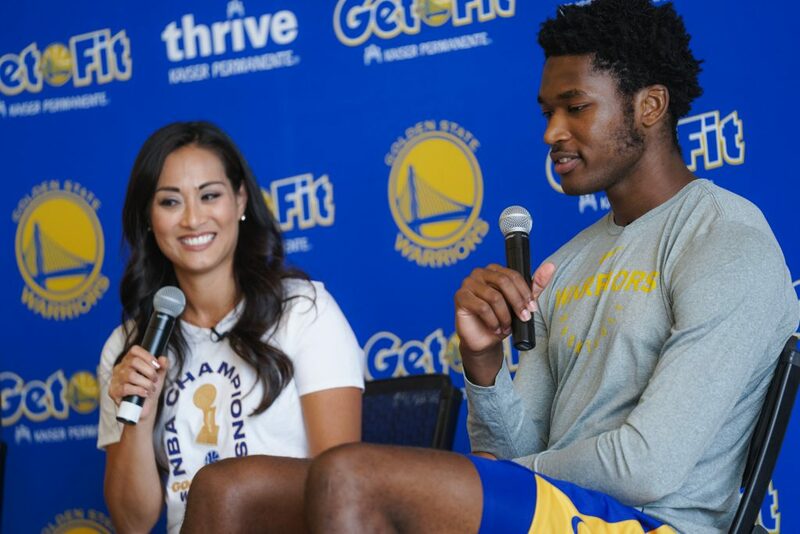 All in all, the events was so much fun and I can’t wait to work with the Dubs again! When I think about my early visits to Disneyland when I was a child, the Main Street Electrical Parade is one of the first things that comes to mind, after Mickey and Minnie. In fact, if I’m being honest, I never even realized it went away….there definitely was a time lapse between my childhood, to now being a parent where I hadn’t visited Disneyland in YEARS! Last year when I took my boys to Anaheim and Disneyland for the first time, I didn’t realize the night parade was not the same one I was accustomed to seeing during my visits as a kid. And, while the parade(s) we saw were awesome in their own right, it was very exciting for me to hear that the Main Street Electrical Parade is lighting up Disneyland once again!!! There sure is something about it that’s very nostalgic to me, and being able to share that experience with the kids is very cool, not to mention maybe I won’t feel so “dated,” as the characters and visuals that amused me as a child will have the same effect on them today! All this being said, I got to do an interview about this excited (limited time) event at Disneyland. I spoke to Disneyland spokesman Eddy Collins and the man mouse himself, MICKEY MOUSE even dropped in on the interview I did for Bay Area LIFE. If you want to see it and “relive” that childhood experience or maybe see it for the very first time, be sure to visit Disneyland Resort by June 18!! Today I discovered that I have apparently been gracing Muni bus shelters and other like advertising spaces around the city of San Francisco! 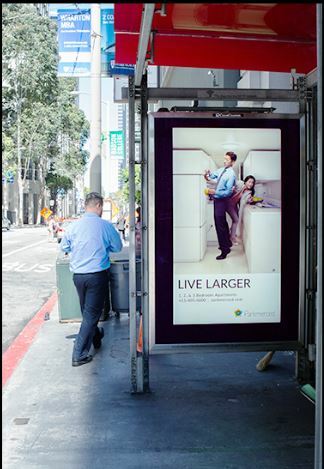 The poster ads are for Parkmerced, a luxury apartment community in the city, and the concept was to depict the cramped living conditions synonymous with SF living. 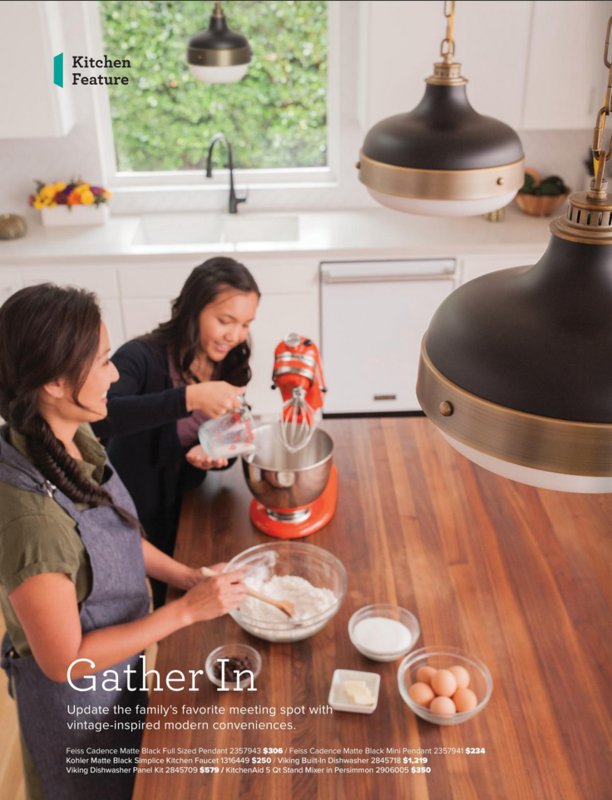 So, in my shot we were in a super tight kitchen space and we were having to contort our bodies to get around each other! It was a fun shoot,very creative, and really didn’t tak etoo long, they knew exactly what they wanted. And could you have guessed, there was actually no furniture/cabinetry in the shot. We had to pretend that was there, and then they edited it into the photo later….pretty cool, huh? 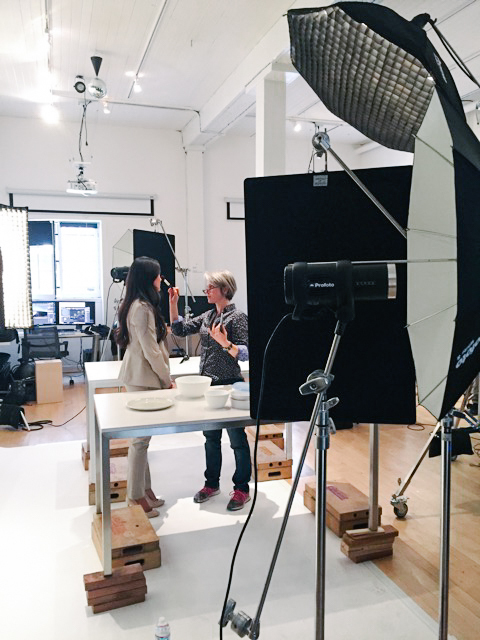 That’s a behind the scenes picture in the space where we shot the photos…. 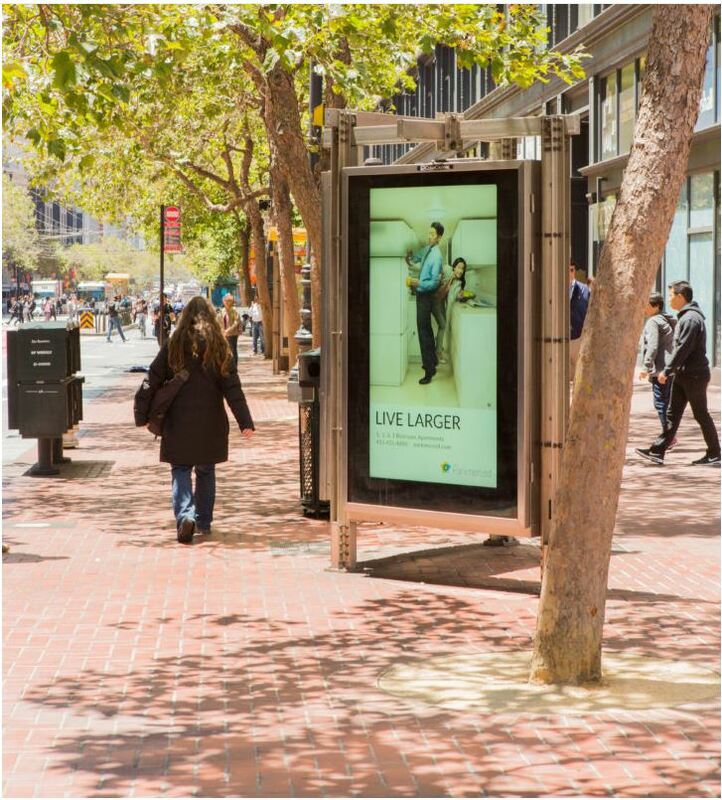 And a collage of the other photos created for this “Live Larger” campaign! 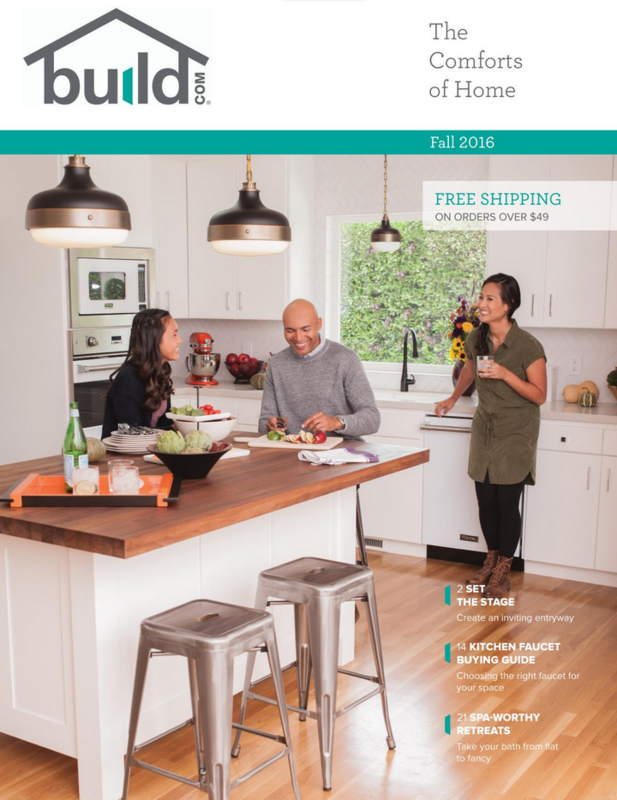 I’m happy to share that I am on the cover of the Build.com 2016 fall catalog! 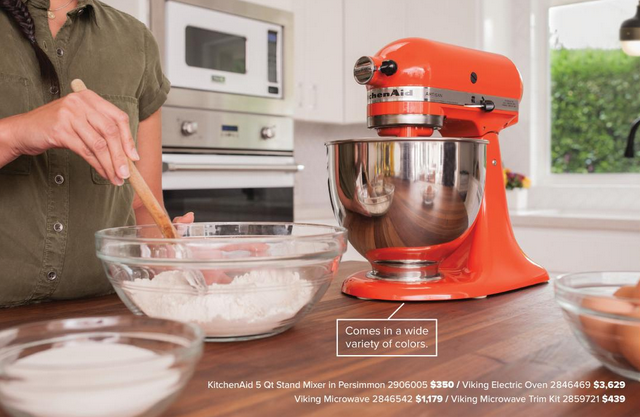 I grabbed some screen shots below from the PDF version of the catalog. It’s me with my pretend family..and dog! I traveled out to Chico for this one day shoot, since that’s where build.com is located. Thanks to NYLO for booking this for me. Good times! 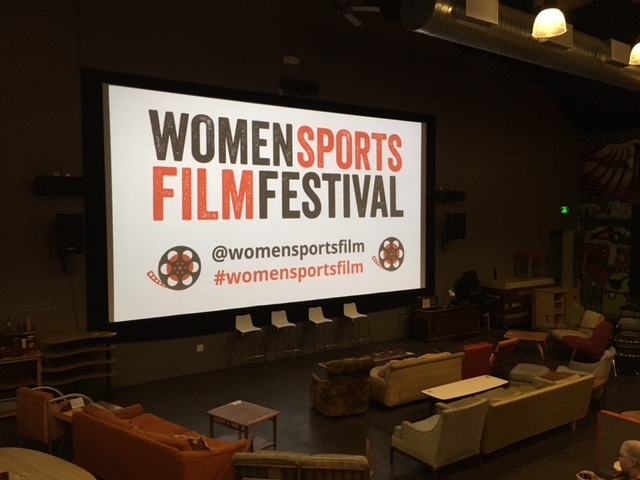 This past week I was lucky enough to host the inaugural Women Sports Film Festival in Oakland at The New Parkway theater. It was an incredibly fun vibe and I had the pleasure of introducing and moderating the post-screening Q&A sessions for 2 of the films. Using the power of documentary film we celebrate female athletes and the filmmakers who bring their stories to the screen. Kudos to the women who put this event together and I can only see much more success in their future, now that they’ve tapped into a genre and market that’s shine is long overdue. 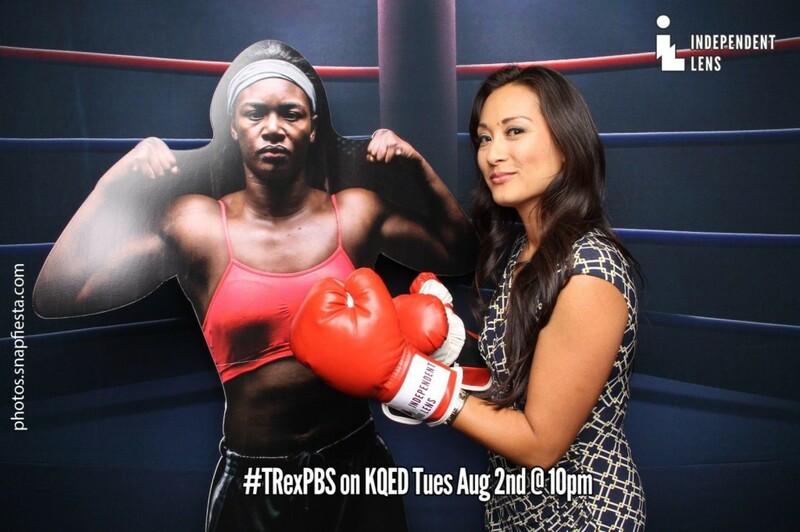 The opening night documentary was “TRex: Her Fight for Gold,” the story of Flint, Michigan’s Claressa Shields and her journey to an Olympic Gold medal in London 2012. She is now seeking to defend her gold in Rio. It will premiere on PBS, Tuesday, August 2, 2016 s part of the Independent Lens series by ITVS. 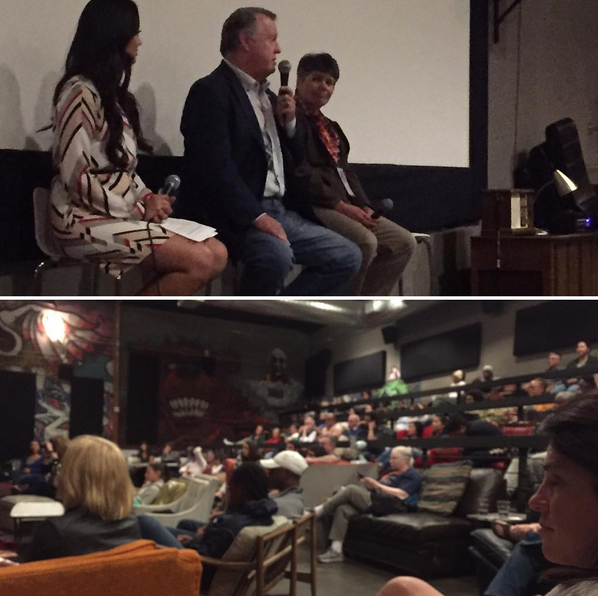 The other documentary screening I hosted was “Althea,” about tennis champion Althea Gibson. She was the first African-American to play at Wimbledon and Forest Hills. Both of these documentaries are well worth the watch! Now, I can’t wait to do it all again next year!